The Margaret River beaches in the south-western corner of Western Australia are among the most spectacular beaches in Australia. 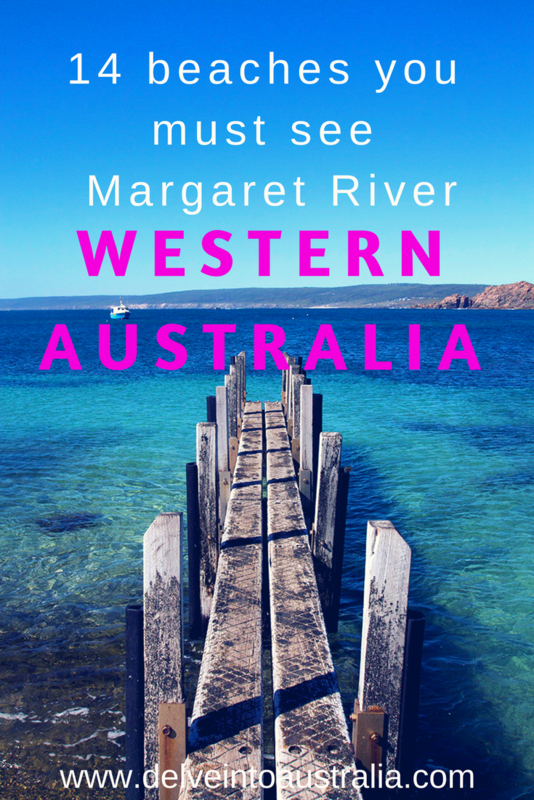 We knew plenty about the wine and gastronomy of the Margaret River area, but it was the amazing coastline that really took our breath away on our first trip to the area. 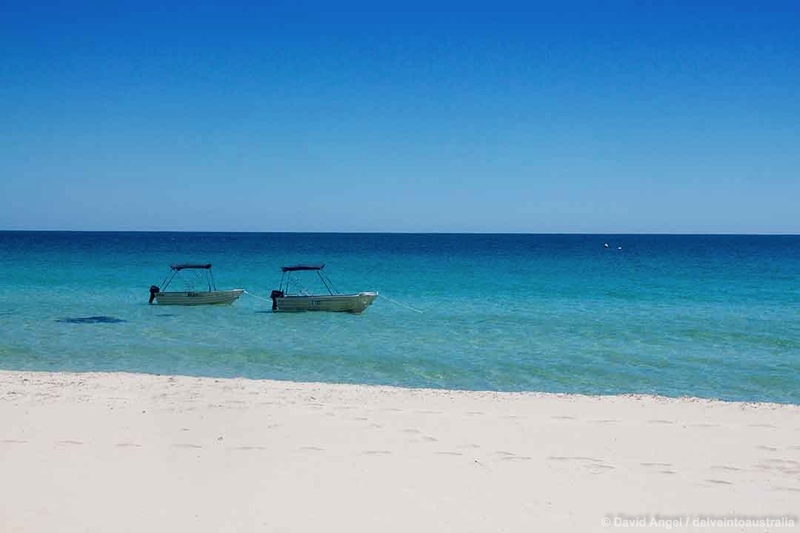 The beaches vary greatly in character, with the east- and north-east facing beaches between Eagle Bay and Dunsborough ideal for swimming in the calm waters of Geographe Bay, while many of those on the west-facing coast, in the Leeuwin-Naturaliste National Park, feel the full power of the Indian Ocean and are more suited to surfing. 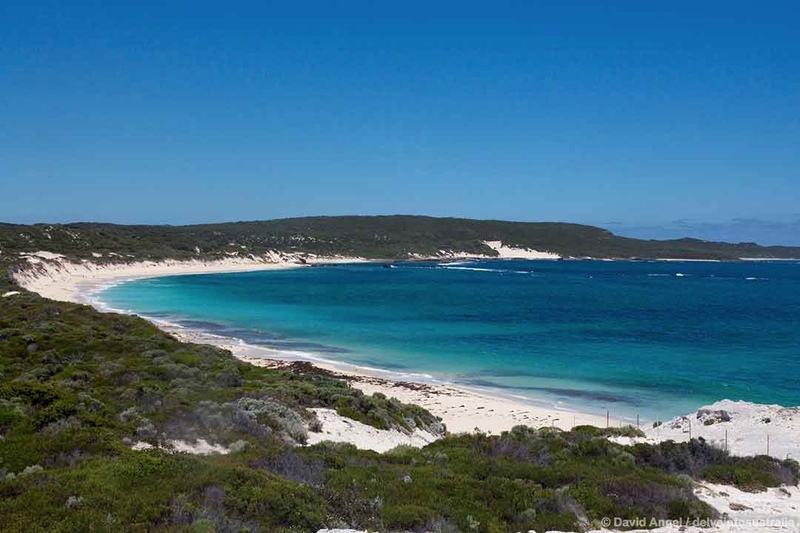 All of the beaches we have written about are accessible by conventional two-wheel-drive car, but another way of seeing these and others is to tackle the Cape to Cape Walk from Cape Leeuwin in the south to Cape Naturaliste in the north (or vice versa), which is 125 km long and can take seven days or more to complete. 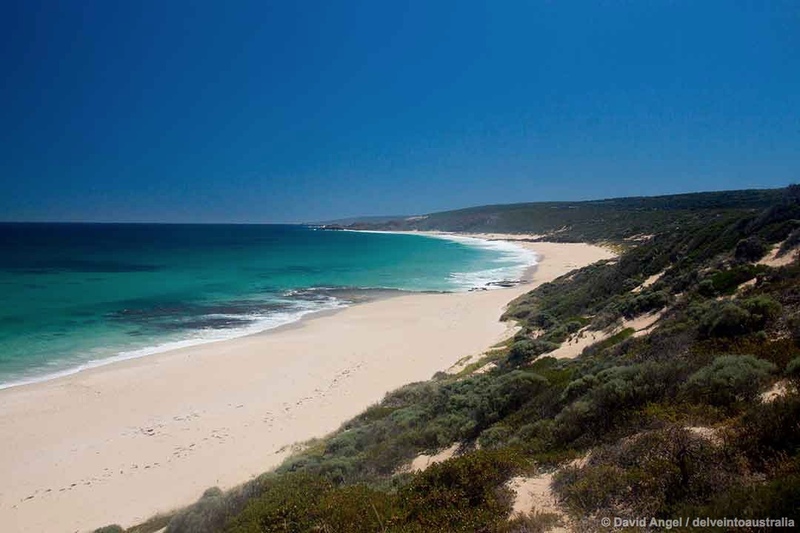 So here’s our guide to some of the very best Margaret River beaches. 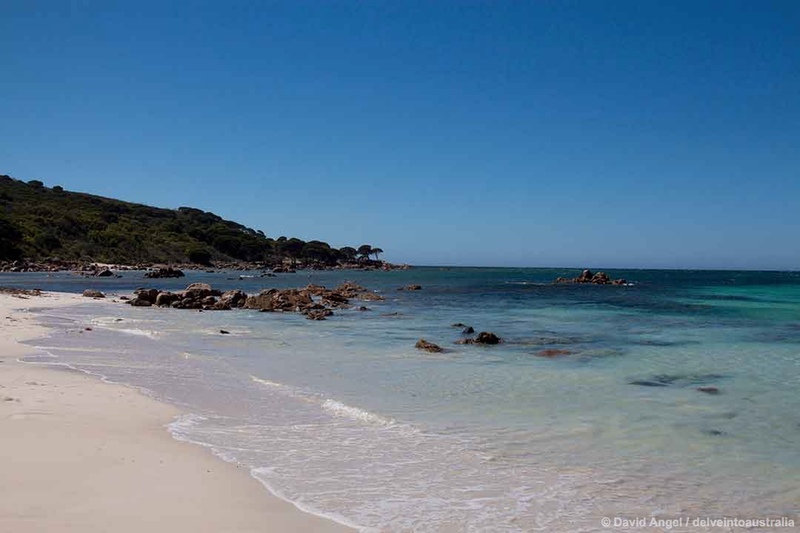 There are two beaches at Point Picquet, a small headland on the coast road around 10 km from Dunsborough, and neither seems to have a name. That said, they both seem to have a steady stream of visitors, so there is plenty of parking space close by. The first beach is tiny, a small narrow strip of sand largely guarded by rocks, but with some of the most enticing clear turquoise water either of us have ever seen. The second is also very small, probably no more than 40 metres across, but is one of the most idyllic we have ever visited. 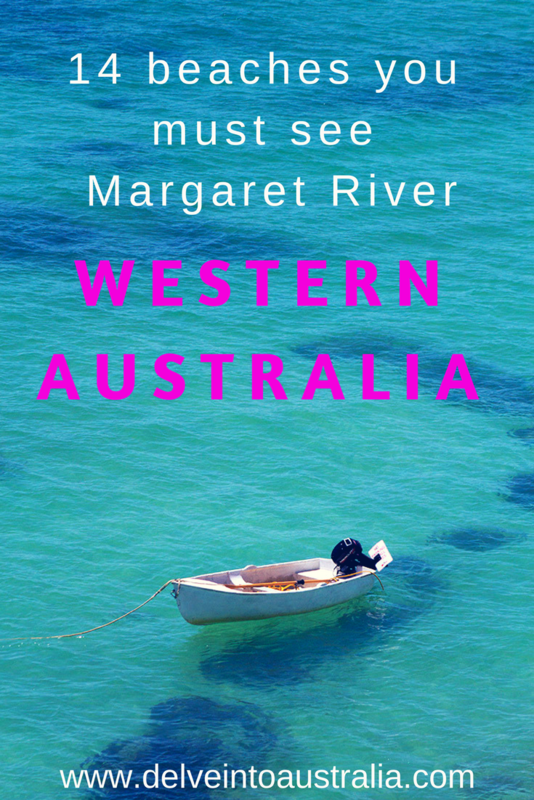 It’s still in the sheltered part of Geographe Bay, with the calm water among the very best Faye has ever swum in. It’s guarded either side by striking orange granite rocks, the whole scene making an incredible spectacle. 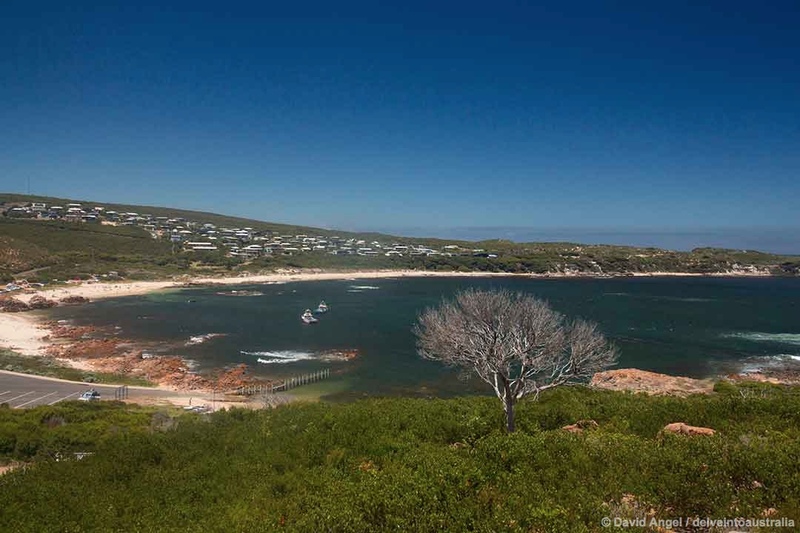 The drive along the coast road – Eagle Bay-Meelup Road – is pretty special too. Meelup Bay beach is a short drive up the coast from Dunsborough, and absolutely sublime. We visited a few times during our visit to the area. 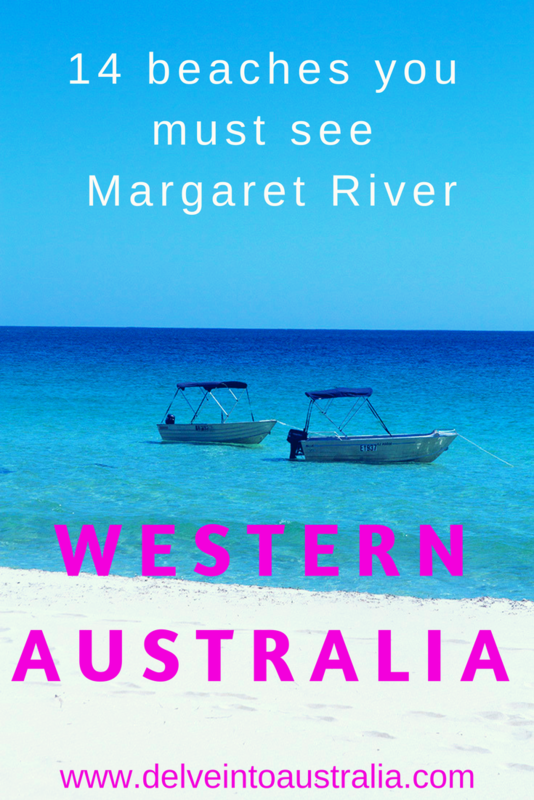 I drove there one morning, a few minutes after sunrise, and it was deserted, the only sound the waves of Geographe Bay gently lapping against the sandy shore. 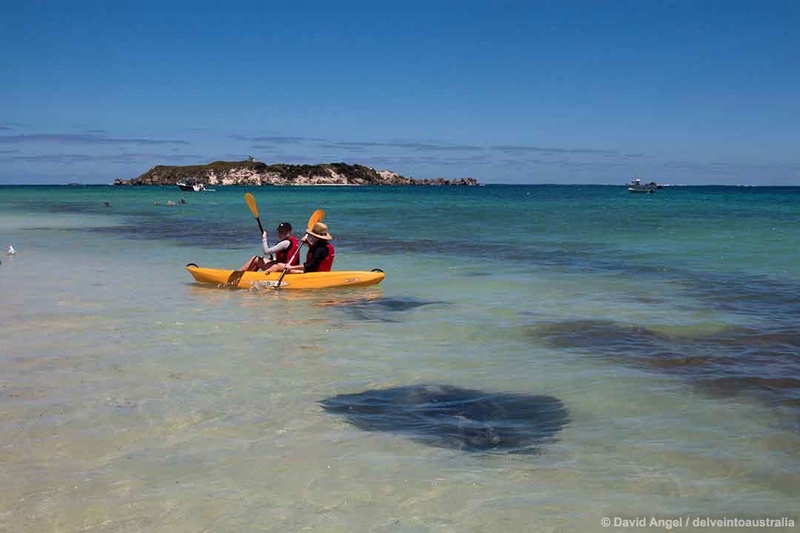 It’s probably the busiest of the beaches in the Dunsborough area by mid-morning, with the beach full of families kayaking, swimming, snorkelling or snoozing. Our little man made a beeline for the ice cream van and we found a shady spot below the trees just behind the beach, watching the world go by for a while. Castle Bay – sometimes called Castle Rock Bay – is a near-neighbour of Meelup, around a 2km walk or 3 km drive away. The Castle here is Castle Rock, an impressive outcrop and viewpoint a short walk away along the Meelup Trail footpath. Again, we made repeat visits here, drawn back because it’s such an evocative spot. The small beach is dotted with lovely orange rocks, particularly beautiful at sunrise, and it seems to attract less of a crowd than nearby Meelup. A wonderful place. In Eagle Bay Margaret River has one of the finest beaches we’ve visited in Australia, a gorgeous crescent of white sand and that amazing turquoise water. The car park seemed busy, but the beach is so spacious that everyone seemed to have half an acre of space to themselves. There are also other places to park along the road back towards Point Picquet and Meelup which offer quieter places. 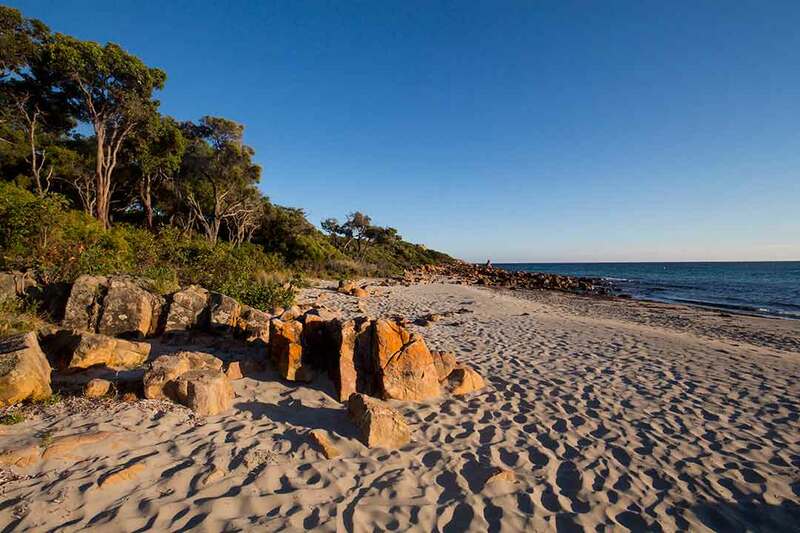 It’s an incredible base for a holiday in the area, with plenty of Eagle Bay accommodation to choose from. Bunker Bay beach is the northernmost of Margaret River’s Geographe Bay beaches, and it’s quite different in character to the others nearby. We drove from the relative calm to Eagle Bay to markedly different conditions, with some big waves pounding the shore and strong rip currents sucking them straight back out to sea. 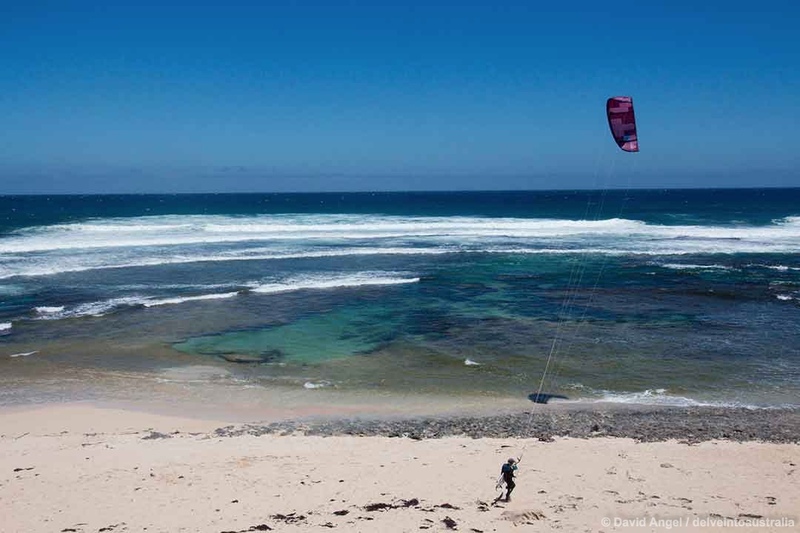 It’s a magnificent beach, but the conditions were more akin to those we had already seen on the surfing beaches exposed to the full power of the Indian Ocean to the south of Cape Naturaliste. We also made sure we had time to stop by at the Bunker Bay café, Bunkers Beach House, for a light lunch and coffee. It has a fantastic setting just metres from the beach, with outstanding views out to sea. There’s also luxury Bunker Bay accommodation close by at the Pullman Bunker Bay Resort. 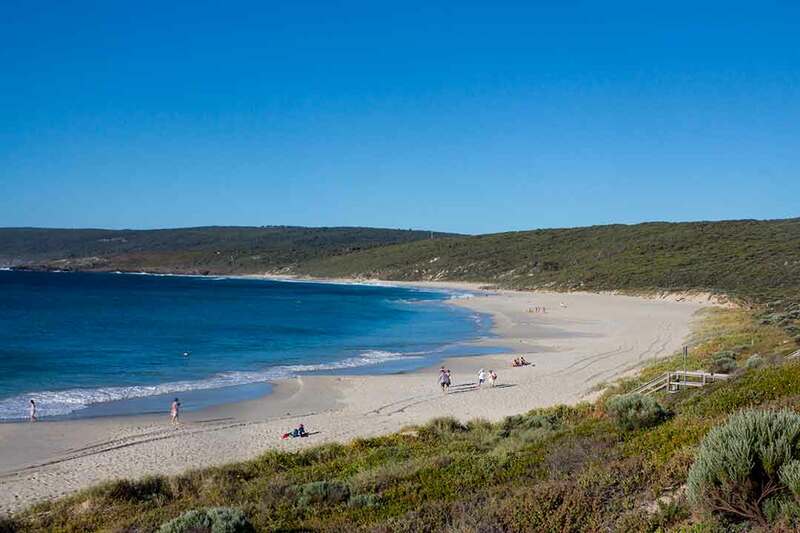 Yallingup beach is the beach adjacent to Yallingup village, and it has great areas for both swimming and surfing. A statue on a lawn overlooking the beach acknowledges the role of Yallingup in Western Australian surfing history: Yallingup was one of the first places to which Perth surfing enthusiasts ventured in search of bigger, better waves, and this is exactly what they found at Yallingup and all along the Margaret River coast. 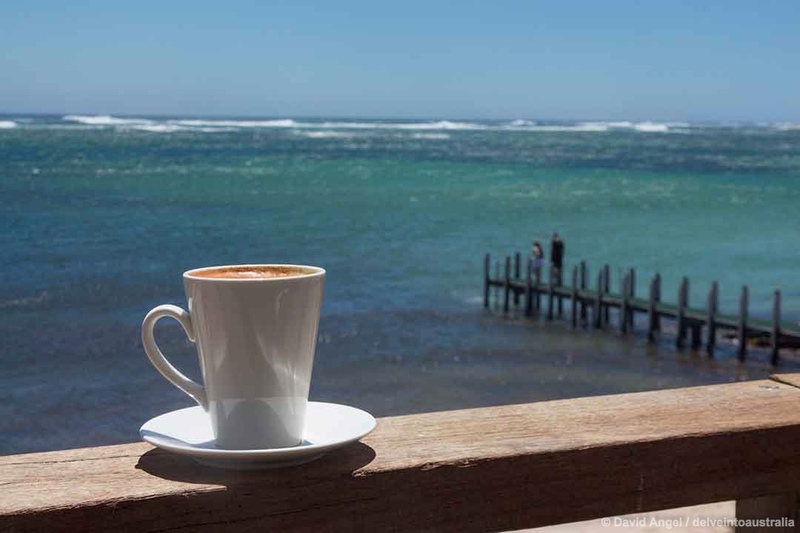 The village is a great place to visit or stay, with a good range of Yallingup accommodation including the Yallingup beach resort. Throw in one of the most memorable short scenic coastal drives in the area, a fantastic play area mostly built from wood and a great general store, café and bakery at the top of the hill, several vineyards nearby and in Yallingup you have a great base from which you can explore the Margaret River region. 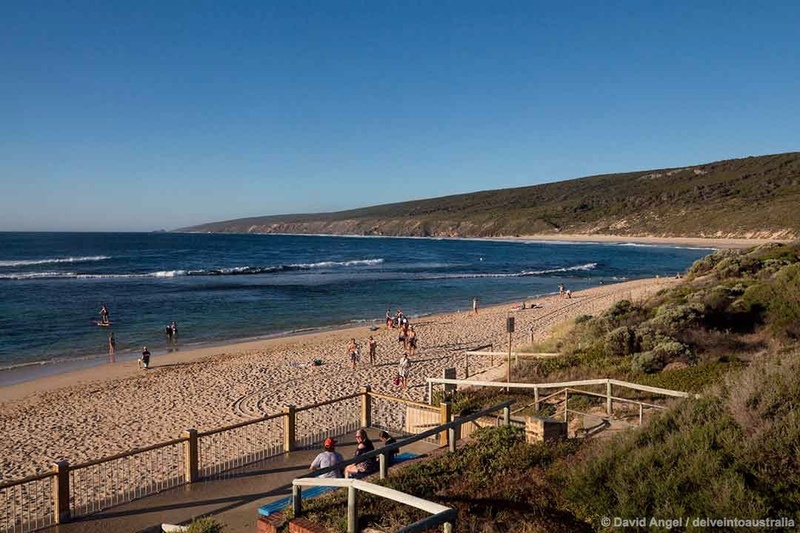 Smiths Beach is a few minutes’ drive from Yallingup village, down Caves Road then along Canal Rocks Road before a turn on the right leads you to the sandy shore and some great Yallingup beach accommodation, including Yallingup beach resort. It’s one of the best surfing locations on the coast, with the Supertubes break one of the best-known along the whole stretch between the two Capes. 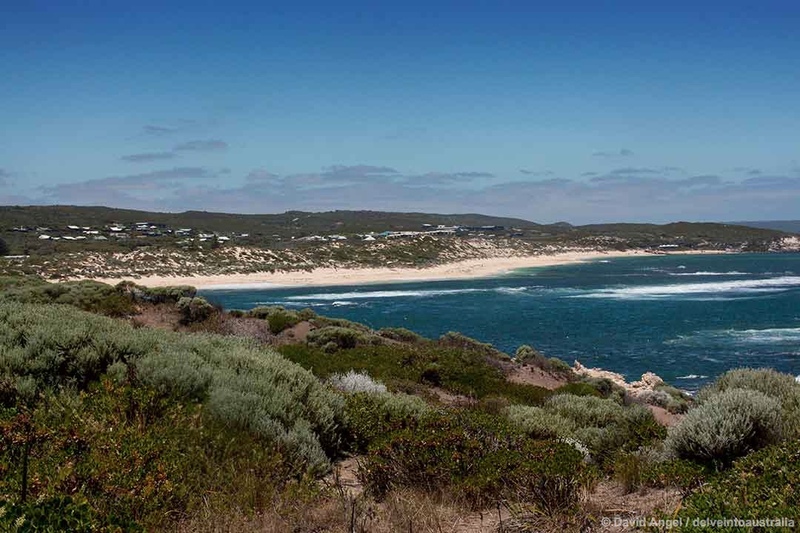 Parts of it are also fine for swimming, and it’s also a great starting point for short walks along the Cape to Cape track, with Yallingup beach in one direction and Canal Rocks in the other. Injidup beach is the first of the west coast Margaret River beaches that we visited, and it set the bar very, very high. It’s a glorious stretch of sand and crystal-clear ocean, where we could happily have stayed all day. It’s the first beach to the south of the Yallingup beaches, and also just down the coast from Canal Rocks, another beauty spot with bridges taking you out onto a reef of rocks to get closer than normal to the ocean. It’s also a fairly quiet beach, seemingly attracting a mainly younger, surfer crowd. The Injidup Spa Retreat is on the approach road: we didn’t visit, but what a setting for some pampering. 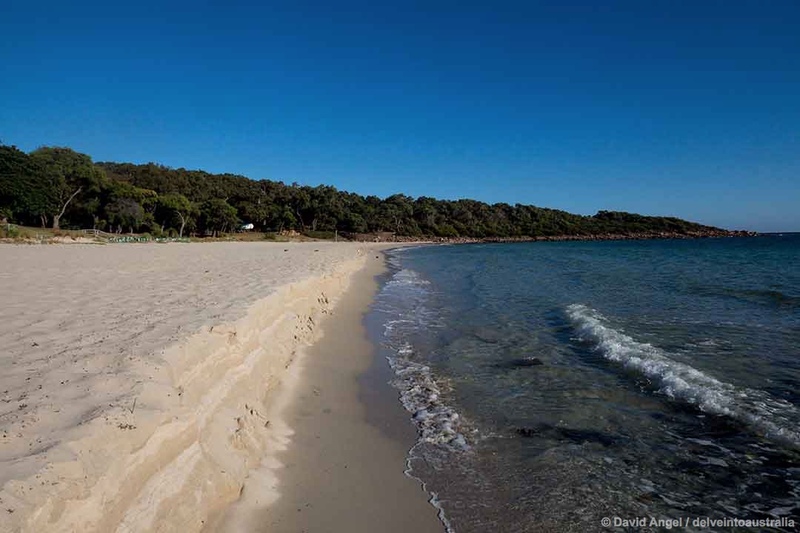 Cowaramup Bay is named after the quirky town full of bovine sculptures 15km or so inland, but the beach is actually located at Gracetown, and some simply refer to it as Gracetown beach. 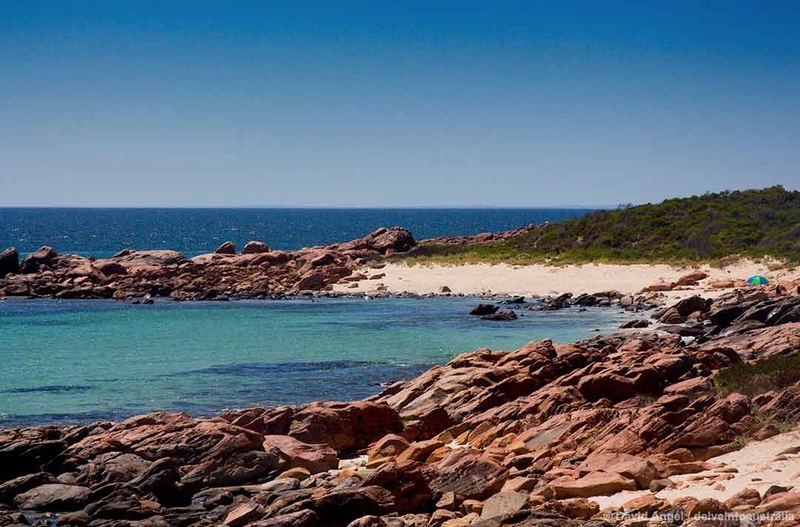 Cowaramup Bay is another beauty, a long, narrow curve of soft sand ideal for swimming with calm water, shielded from the full force of the southern Indian Ocean by headlands at either end. The small beachside town of Prevelly – named after a monastery in Greece, and with its own whitewashed Greek chapel on the hill above – is home to several beaches, each different in character. The grandstand location is Surfers Point, which if the size and frequency of waves are an indication is one of the best surfing locations on this coast. The beach is wild, great for a bracing walk as your ears are pounded by the loudest waves I’d heard since I witnessed the Atlantic crashing onto some of the great Portuguese surf beaches a few years before. Whereas surrounding beaches including Rivermouth are quite tranquil, there is an endless succession of big waves to ride, and the area behind the beach has some great viewing points to watch surfers and kite surfers tackling the waves. Gnarabup Beach is a short 2km drive or walk from Surfers Point and Prevelly, and when we were there it was like a millpond in comparison, the ocean almost flat as waves lapped around the wooden jetty. Gnarabup enjoys a delightful setting, and a great way to savour it is to strategically bag one of the tables on the terrace at the White Elephant Café, place your order at the bar and linger. We could have grown quite used to this, and for those who prefer to stay around longer, there is also some Gnarabup accommodation in the village. 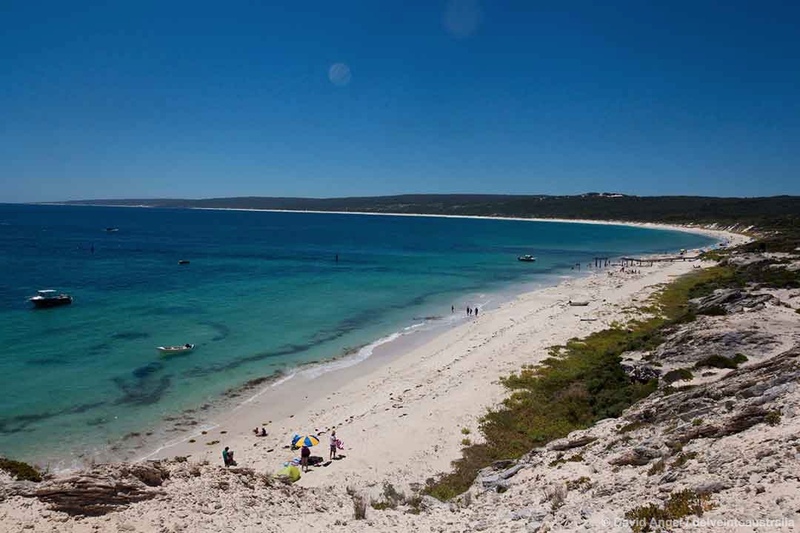 Hamelin Bay beach is one of the highlights of any trip to the Margaret River region. The long sweep of gorgeous white sand and the dunes behind, not to mention the gorgeous Indian Ocean, are compelling enough reasons to visit, but many visitors go out of their way to get to Hamelin Bay to experience one of the most amazing wildlife encounters in Australia. 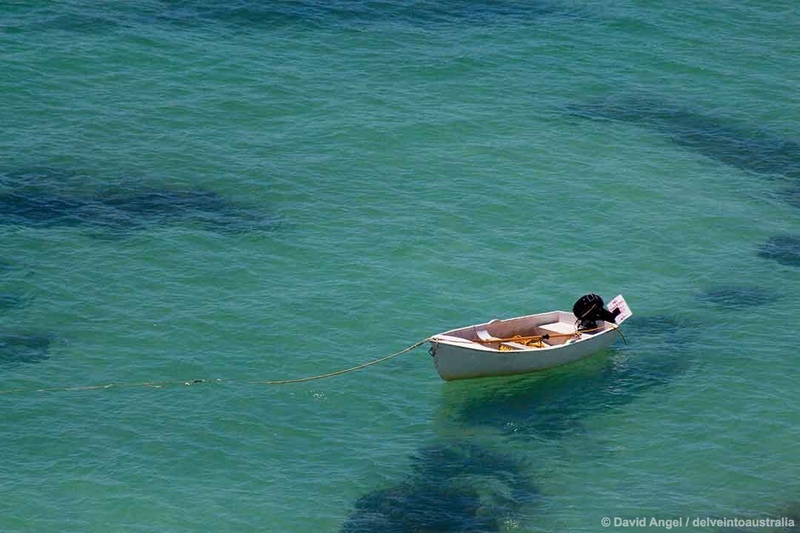 A small population of stingrays lives close to the bay, and over time they have grown accustomed to getting a feed of fish scraps from some of the fishing boats in the bay. They swim right in to the shore, often brushing against your feet to greet you (and presumably hint that they would like some more food, thank you). Some of the fish are huge, over a metre and a half wide, but are very friendly, not aggressive at all. Some people leant forward to pat them, others were just captivated by them and filmed or photographed them on their phones. For the little man and I, it was a wonderful experience and one of the best experiences we’ve had yet seeing wildlife in Australia. Faye is the family fish and went to investigate further. We noticed that very few people were swimming in the vicinity of the stingrays, and the reason for this is that a swimmer would be more likely to have an entanglement with one, with the possibility of it reacting aggressively and releasing its venomous barb. But standing and letting them come to you was perfectly safe. 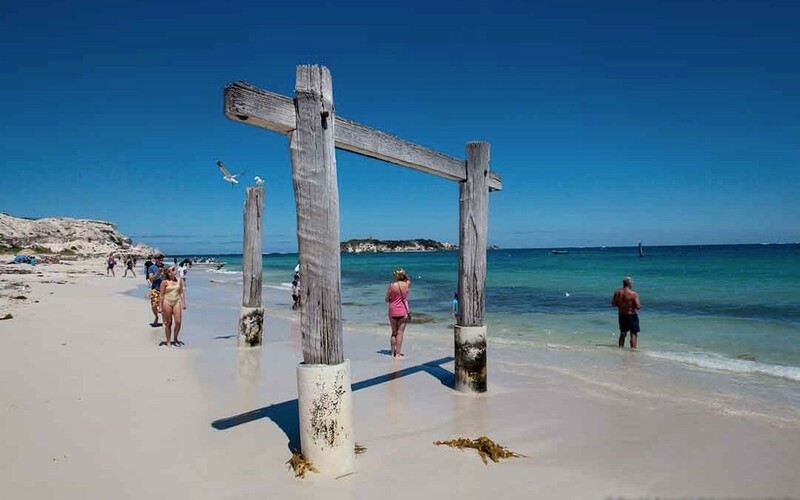 There are several Hamelin Bay accommodation options, from the Holiday Park to a number of Airbnb rentals, with more choices down towards Augusta and back to the north around Margaret River. Never can a beach have been named as inappropriately as Foul Bay, the southernmost of the Margaret River beaches we visited. It’s just beyond the headland at the southern end of Hamelin Bay, and as our little fellow was worn out after seeing the stingrays, I took a sneaky half-hour walk around to see it for myself. Foul Bay is one of the most beautiful beaches on the Margaret River coast, a long curve of pristine white sand, with the turquoise waters of the Indian Ocean sweeping in to shore. There were a few surfers at the other end of the beach, and though I didn’t have time to have a long walk down the beach, I’m very privileged to say that I have seen it.